In many respects, face to face are a great band. They’ve written some awesome songs in their heyday and helped massively in shaping the melodic, punk rock sound that tore through the ’90s. However, like most bands of that era, they’ve unfortunately fallen victim to what I call “Citizen Kane Syndrome.” They’ve done their best work so early on in their career that it’s almost impossible to create something of that magnitude again. I’ve seen it a lot with bands from the era of punk rock dominated by Epitaph and Fat Wreck Chords—Rancid with …And Out Come the Wolves, Anti-Flag with The Terror State and Against Me! with As the Eternal Cowboy, to name a few. Every once in a while, a band will come back with an album that can challenge their earlier masterpieces. For example, Lagwagon’s Hang and Good Riddance’s Piece in Our Time have been praised as some of their best works. It doesn’t mean that a band’s entire discography, with the exception of certain albums, is bad. It just means that when a band gives something spectacular to their fans, those fans are going to have high expectations for the next album. 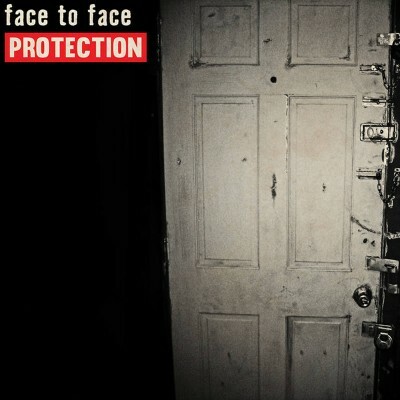 This is where face to face come into play—their new album, Protection, is the first album released on Fat Wreck Chords since their 1995 classic, Don’t Turn Away. I consider it a smart move to go back to Fat, seeing as some of their biggest bands are putting out some pretty solid records, and after 2013’s less-than-stellar Three Chords & a Half Truth, it seemed logical for face to face to go back to their roots and see what they could crank out. The result—well, while not nearly as bad as Three Chords—is still pretty hit and miss.